The year of the Maya is here! The Maya was a very advanced culture, noted for its art and architecture, mathematical and astronomical systems and cuisine. They carved elaborate sculptures and reliefs, built sophisticated cities and temples, developed a highly accurate calendar, gazed at the stars in the observatories they constructed and utilized chocolate and corn in their food. Since December 21, 2012 marks a special day for the Mayans – a day in which they believe the world would be reborn- Dreams Cancun Resort & Spa, Dreams Riviera Cancun Resort & Spa, Dreams Puerto Aventuras Resort & Spa and Dreams Tulum Resort & Spa are celebrating with a month of Mayan events beginning Thanksgiving, November 22, 2012 and ending Friday, December 21, 2012. Dreams Cancun: Every Monday at Dreams Cancun, listen to our Mayan story teller and gaze at the stars with high powered telescopes. 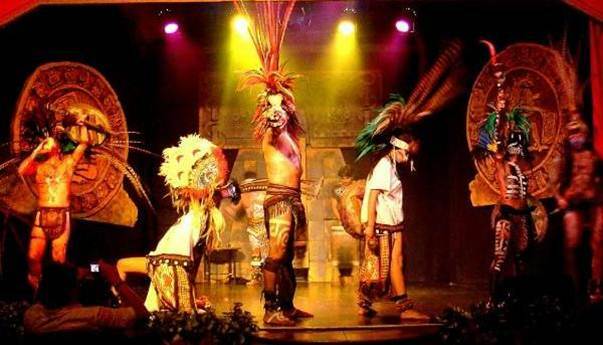 On Tuesday, watch the Mayan torch show followed by the Mayan Show where the performers are dressed in traditional Mayan garb. Ever Wednesday, enjoy Mayan and Spanish language lessons and face painting. On Thursday, the kids in the Explorer’s Club make their own Mayan calendar and hunt for treasure. Friday, learn some traditional Mayan dances and Saturday, join us for a movie. Cap off your week of Mayan events on Sunday with a Mayan sandcastle contest. 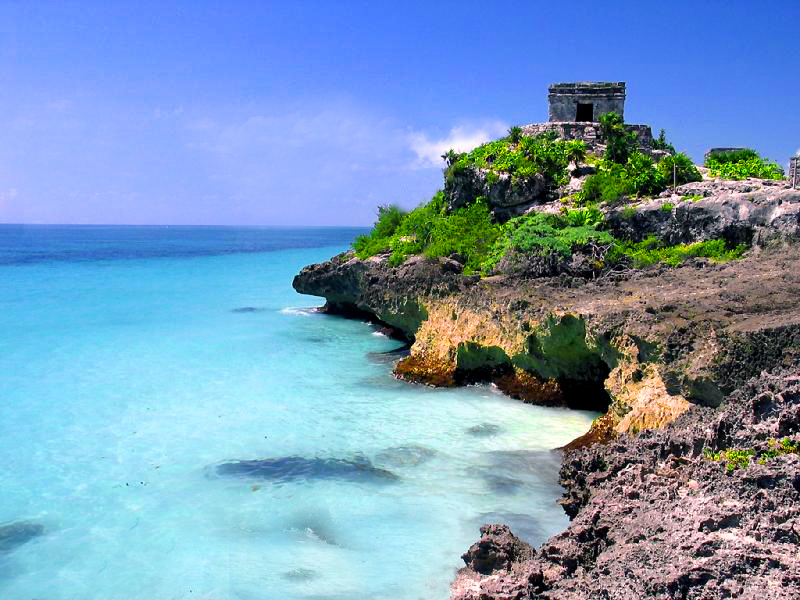 Dreams Tulum: Experience the magic of the Maya at Dreams Tulum, adjacent to the gorgeous Mayan ruins of Tulum, with an exclusive tour of the city’s ruins every Monday and explore nearby cenotes, natural freshwater pools that are abundant in the Riviera Maya, every Tuesday. On Wednesdays, take park in our stargazing night and Mayan show. Enjoy Mayan rituals like the temazcal (a Mayan sauna) on Friday, compete in the sandcastle competition on Saturday and party at the Sunday beach party! Dreams Riviera Cancun: At Dreams Riviera Cancun, discover the Mayan cuisine every Monday while you watch traditional Mayan dishes being made. On Tuesday, build a traditional Mayan hut and furniture. Every Wednesday, take part in a Mayan ceremony where a Mayan chaman conducts a tirual that will leave you filled with positive energy. Learn basic Mayan words and how to write them on Thursdays. Fridays, stargaze and view the vast solar system with our high tech telescopes. Saturday, play a Mayan ball game in the pool and finish off your week on Sunday with a Mayan show. Dreams Puerto Aventuras: At Dreams Puerto Aventuras, take part in the special activities that include stargazing, Mayan shows, learning the Mayan number system and language, creating Mayan crafts, cooking Mayan dishes in a class. Kids get in on the fun as well creating Mayan costumes! This entry was posted in Dreams Cancun, Dreams Puerto Aventuras, Dreams Riviera Cancun, Dreams Tulum and tagged Cancun, Dreams Resorts & Spas, Mayan, Riviera Maya, Special Events, Tulum. Bookmark the permalink. WOW, Great,Really its fantastic resort for family,I really love to share with my friends. We are flying from the uk,on the 12th December, in 2 weeks can’t wait with my2 girls yasmin and milly 9 and 7 year old staying at dreams cancun my girls are looking forward look out for us guys 🙂 . I am so ready to be there! We leave Sunday and get in very late after a 75 min. drive to the resort and am still more excited to be spending Christmas on the beach. I should say it is snowing here right now here in Colorado!!! My husband, 14 year old daughter and I will be on our first tip together out of country.